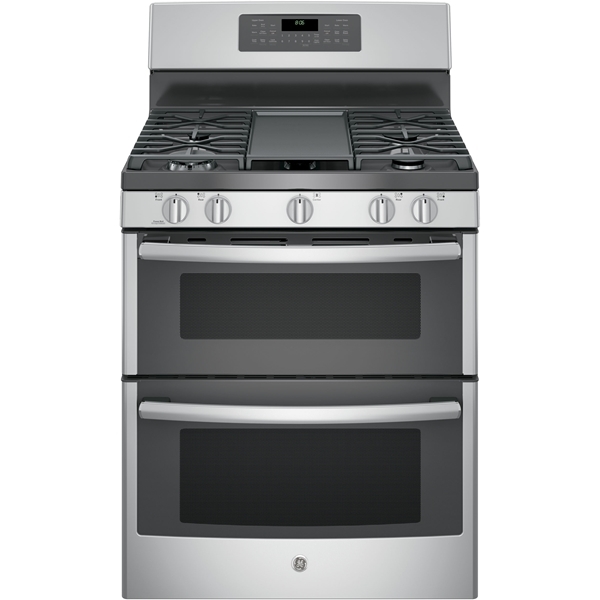 This GE double convection range features the self-clean with Steam Clean option so you can clean your oven the way you want. 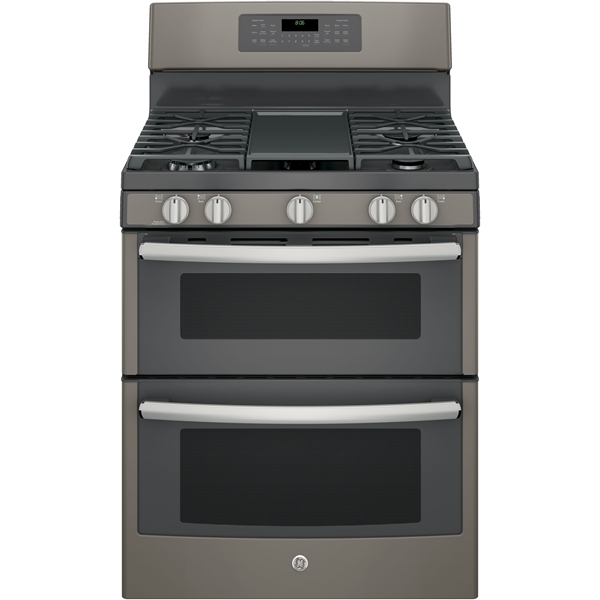 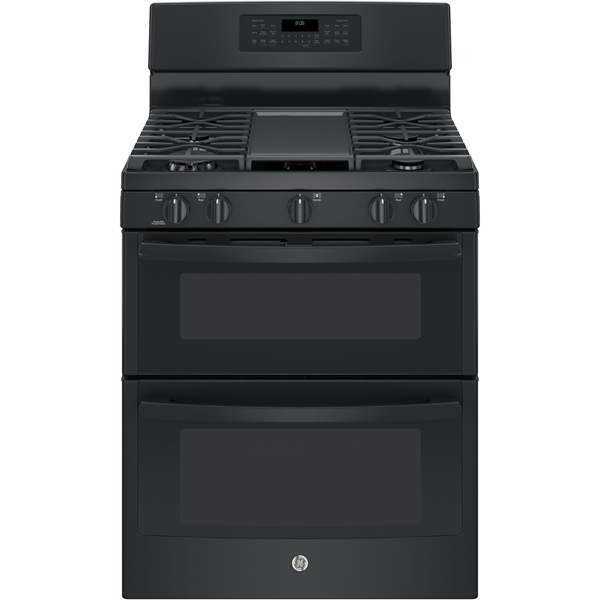 The heavy duty grates are dishwasher safe and the oven has a sleek black gloss interior. 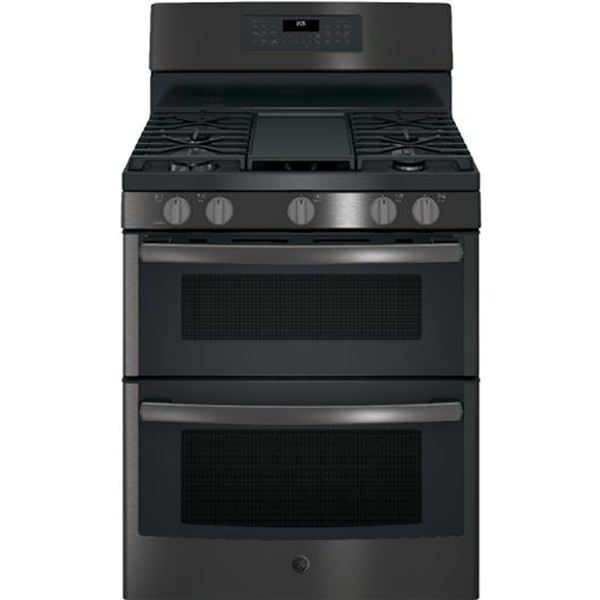 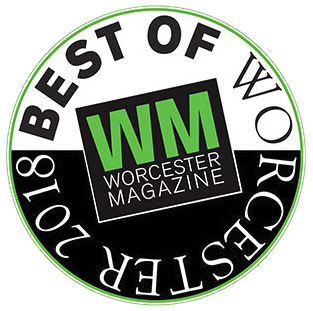 The gas convection oven (lower oven) circulates heat for high-quality results. 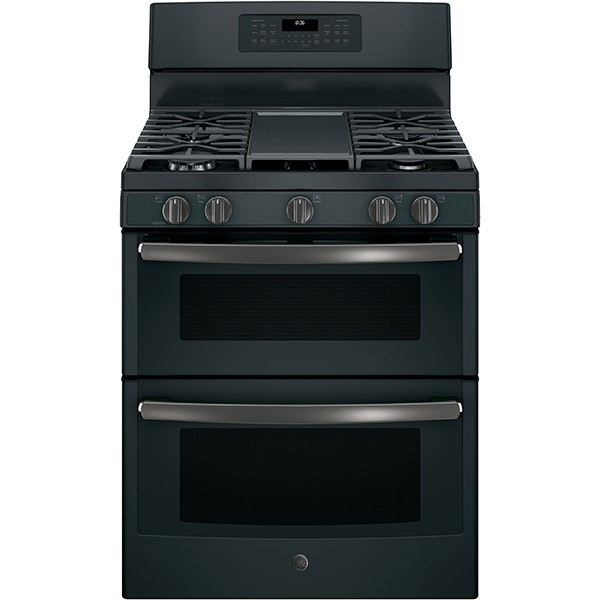 And with 6.8 cu.ft. 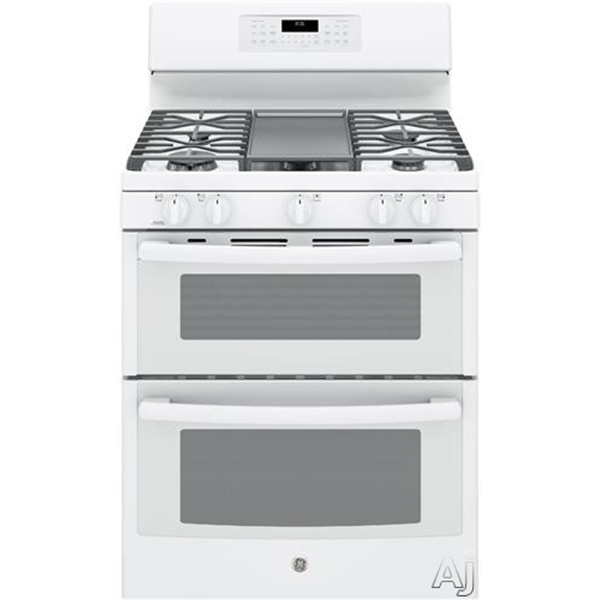 of total capacity, it is ideal for cooking large meals.